Recently, I saw a screenshot from the new Manaan content in the SWTOR patch coming up (thanks to Baffle on Twitter). 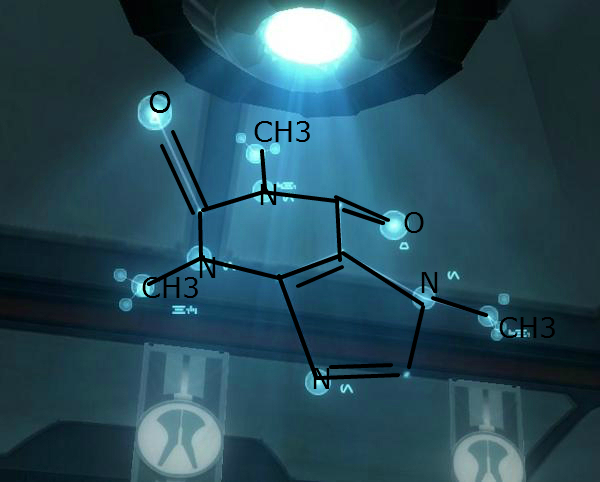 Now, chemist that I am, I noticed some interesting items. 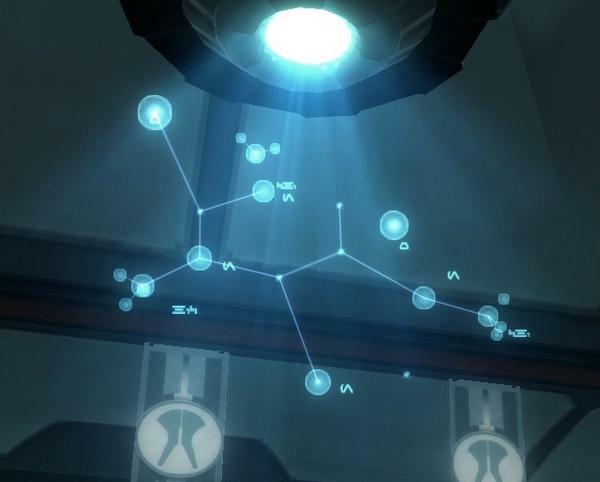 Namely, that the Aurabesh letters for N, O, and CH3 are present all over the place. Then I recognized the shape. It’s caffeine. Nicely done, SWTOR. All nerds thrive on kolto apparently.